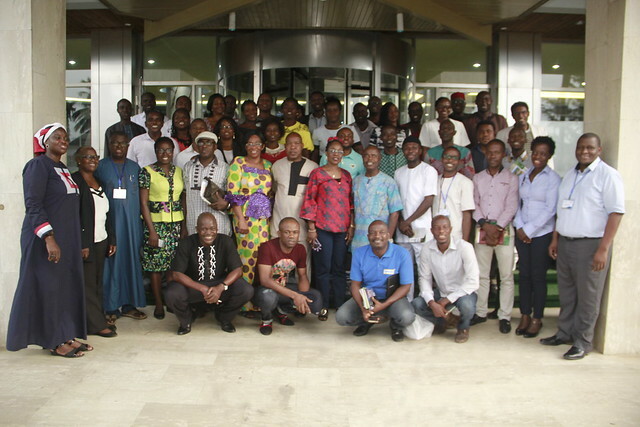 The sixth national innovation platform (NIP) and second Smallholder Poultry Forum (SPF) meetings of the African Chicken Genetic Gains (ACGG) Nigeria project was held in Owerri, Imo State on 22–23 March 2018. In the wake of these events, the project team organized a project management team meeting to review their work on gender and women’s empowerment. Members of the Smallholder Poultry Forum (photo credit: ACGG Nigeria). Developing standards for smallholder poultry end products for market development. Developing an economic business model for the smallholder poultry value chain. Designing a movable chicken housing prototype. Developing mothering units and hatcheries to cater for economies of scale and vaccination. 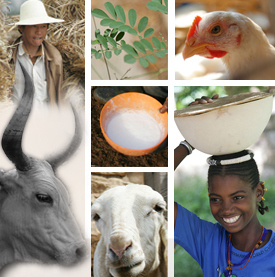 Developing a business model for community animal health workers. Developing a holistic value chain contract model. The forum agreed that the first three goals should form the top priority action areas (in sequence) over the next six months. The 64 participants in the meeting spanned actors in policy, health, input suppliers (feeds, housing), breeder farms, finance, markets and processing, researchers, non-governmental organizations, community-based organizations and agricultural extension service providers. Notably in attendance were representatives of 13 registered cooperative societies that were formed through the community innovation platforms (CIPs) in Imo State. The ACGG-Nigeria team drew a few lessons from these two meetings, especially that there is increasing awareness of, and interest in the potential of the smallholder poultry value chain. The SPF is strategically positioned to harness these interests and channel them towards transforming the value chain into a business hub that extends gains to all the actors. ACGG in Nigeria will continue to utilize various platforms to engage the public, to disseminate its research findings, and to orchestrate productive discussions towards transformation of the smallholder poultry value chain in the country. Definition of empowerment by ACGG Nigeria project beneficiaries in Imo State (2017) (image credit: ACGG Nigeria/Olanike Deji). Since all members of the ACGG Nigeria team were present in Owerri, the team decided to hold a project management team meeting for half a day on 22 March. 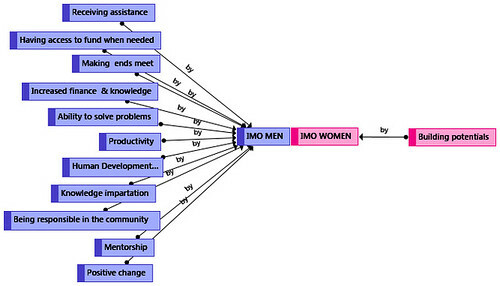 A major highlight of the meeting was the presentation of the results of a study on the understanding of the concept of ’empowerment’ among project beneficiaries in Imo and Rivers states by the ACGG Nigeria gender expert, Prof Olanike Deji. Among other results: Women view empowerment mostly in terms of service provision and their capacity to help others. Men however consider empowerment from the point of view of personal development and their ability to command more respect from people. Studies will also be conducted in the remaining three project states (Kebi, Kwara, Nasarawa) during the next round of CIPs. Insights from this study will further inform ACGG Nigeria’s strategy towards women empowerment. Definition of empowerment by ACGG Nigeria project beneficiaries in Rivers State (2017) (image credit: ACGG Nigeria/Olanike Deji). Tags: spvc, women. Bookmark the permalink.